Dr. Trejo is a family medicine and pathology physician that we had the pleasure of working with throughout our trip! He is one of the nicest, smartest, and most calm doctors I have ever met. I got to interview him and ask a few questions regarding his experiences in the medical field. Question 1: Where did you grow up and where did you attend medical school? Answer 1: He was born and grew up right in Corozal, Belize where we were staying during our trip! He attended medical school in Havana, Cuba for a duration of 6 years total. Due to the fact that he grew up in Corozal, he knew the quality of health care was lacking. This inspired him to come back and work as a physician here in Belize. Even though there are definite limitations due to the government, funding, and a variety of other reasons, he is happy with his decision to come back and practice medicine in Belize. Question 2: Tell me about an influential moment or experience you had in medical school. Answer 2: In medical school, Dr. Trejo had the opportunity to attend conferences that were held by the authors of his medical textbooks. He said getting to sit in on lectures that were held by these brilliant people was an amazing and influential experience. These doctors would just stand up and lecture with no notes, it was all purely from their own knowledge. To him, that was incredible and showed how smart they really are. Question 3: What are some major differences in medical school/health care between Cuba and the United States? 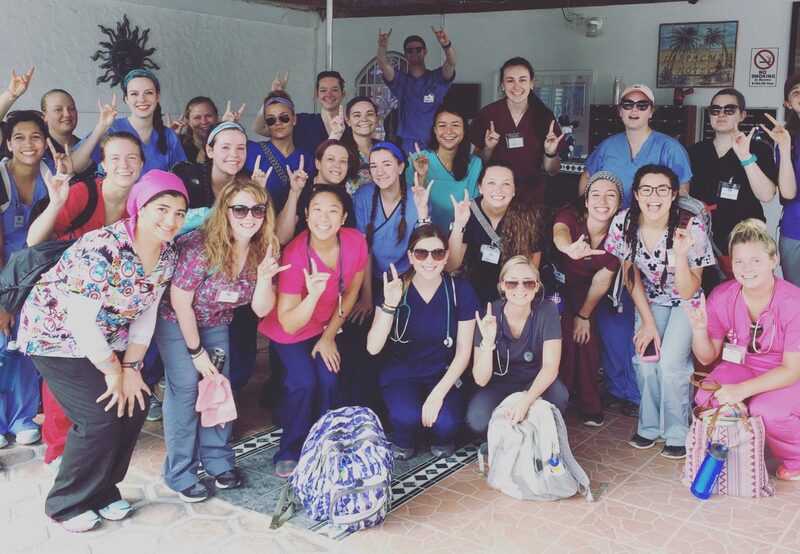 Answer 3: Dr. Trejo told us how in Cuba, there is not much textbook-only learning that happens during medical school. Once you are in medical school, the patient contact starts immediately. The medical school in Cuba places a huge importance on being comfortable with patients and learning proper bedside manor early on. In the United States, it is usually a lot of learning and shadowing before getting to work with and touch a patient. Often the medical student stands and observes the doctor in order to learn. Within the first week of his medical school Dr. Trejo said he was put in tough situations regarding patient care and the doctors sat back and tried to let him figure it out for himself. He said that you are given a lot of control and responsibility as a med student, which is very nerve wracking. He believes this makes a good physician because you get hands on experience with patients early on. Dr. Trejo said he was not discrediting the importance of textbook learning, but rather it is a wonderful opportunity to be allowed such intense responsibility and patient contact early on. Question 4: When did you know you wanted to be a physician? Answer 4: When he was four years old he knew he wanted to be a physician. He had a lot of family illness, specifically with his mother, that he had to deal with as a child. The feeling of helplessness and desire to fix them inspired him to get into medicine. He also had nurses in his family so he was exposed to the field early on. Question 5: What advice do you have for us as students going into the medical field? Answer 5: Dr. Trejo told us to be prepared to study long hours and to be dedicated. Unfortunately once you begin this lifestyle there are things you will have to miss out on. If your friends go out partying and drinking you will often have to stay home and study. He explained that this job is a lot of sacrifices. Once you become a doctor, “your time is no longer your time anymore.” He explained how even when he was home, people know he is a doctor and will often ask him medical questions, or if he gets a call about an emergency he has to go in to work. Question 6: What was your toughest moment in your medical career so far? Answer 6: Early on in his medical school journey, Dr. Trejo explained a tough case he worked on. There was a 36 year old man that was terminally ill with cancer. He was told by the other physicians that he was not allowed to tell the patient that he had cancer and that he didn’t know about it. This was extremely difficult for Dr. Trejo because he had to often talk around the issue to ensure he never slipped up. After a few weeks, the patient let him know that he knew he had cancer. He decided to get married right then and there in the hospital room to his girlfriend and died a month later. This was a case he said he will remember for the rest of his life. Question 7: How do you balance your work life and your personal life? Answer 7: Dr. Trejo takes no shifts on the nights or the weekends to ensure he has some free time to himself. He also has a 2 hour bus ride to and from work every day (4 hours total) so this allows him time to prepare for his day, and then also unwind from the day he just had. Thank you so much to Dr. Trejo and Dr. Estrata for teaching us so much and allowing us to grow with your guidance and knowledge. We couldn’t have done this trip without you!